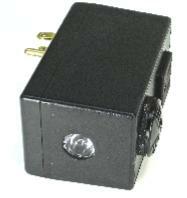 Power Failure Alarm mounted in a standard wall outlet guarantees your device is getting power. Fail safe plug detection. Alarms if your plug comes out of the receptacle! Silence button with adjustable-time “snooze alarm”. Installation is easy. Just install 9V battery. Pass-through design doesn’t take away an outlet. 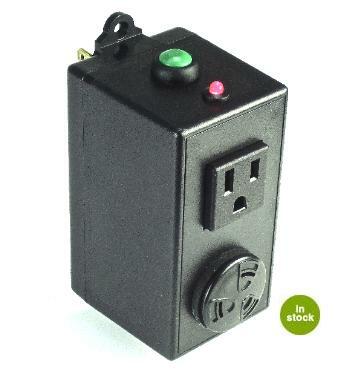 The power outage alarm continuously monitors 120V AC power outlets and if there is an interruption, the LED flashes and a 103dB beeping alarm sounds to let you know. The alarm can be silenced by pushing the outside button. A selectable “snooze alarm” feature will cause the alarm to sound again every 30 minutes until the fault is corrected. The only power outage alarm with a plug detection alarm. 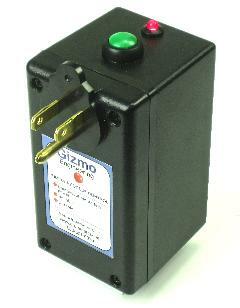 If your plug becomes unplugged from the power fail alarm itself, this is detected electrically and the alarm sounds. Simple installation, just snap in the long-life lithium battery thats included. After that, you are protected for the next 10 years. Extremely low power consumption allows the lithium battery (included) to last up to 10 years**. Will alarm for 50 hours straight with the supplied Lithium battery. After that time, if battery power is low due to excessive alarming time, a low-battery warning alarm sounds for many weeks. Flexible logic so it can detect millisecond blips, (useful for computer equipment) or only report power outages longer than 10 seconds. Optional mode for a 15-minute delay for either the audible alarm or auxilliary output. Same as PFA-1 but also includes a flashlight feature. When power fails a flashlight mounted in the bottom comes on to illuminate hallways. Remember, when power fails there will probably be no other lighting. 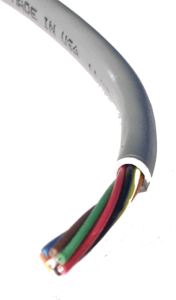 Has the same operation and features as the PFA-1 but includes a 10ft relay output wire. Can be N.C. or N.O. Relay output is a sustained contact close for the same duration as the power outage. Useful for connection to building alarm systems.